Blemishes – they’re the bane of everyone’s life, and never easily resolved. I had a pair of twin mountains on my chin last year that refused everything I threw at them: salicylic acid, benzoyl peroxide, tea tree AND tears… I had to get creative. 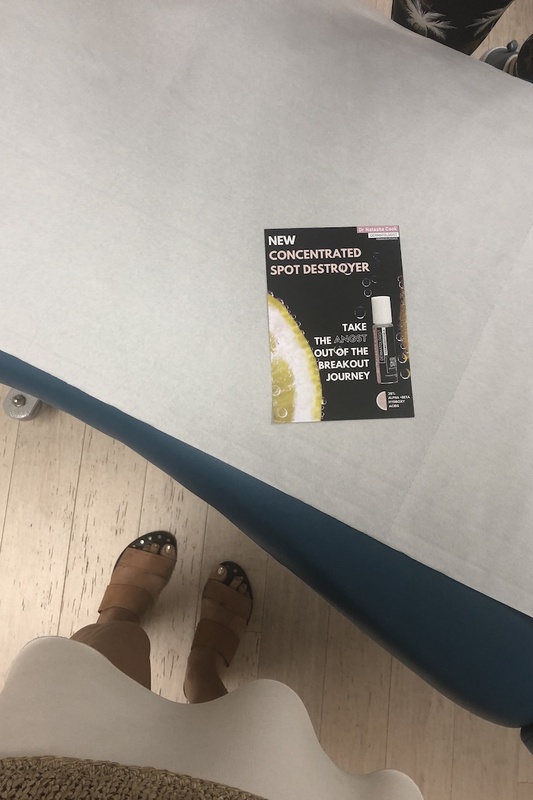 So desperate was I that I called in the big guns: an intra-legional injection with dermatologist Dr. Natasha Cook at Eastern Suburbs Dermatology. “It cuts down the inflammation and within 24-48 hours you’ll see a significant improvement,” says Dr. Natasha, who says she routinely uses the method to treat those who simply can’t afford to have a pimple such as models, TV hosts and brides or those with stubborn and deep cystic eruptions. For my breakout, I noticed an improvement in a matter of hours and by day three it had cleared up completely. 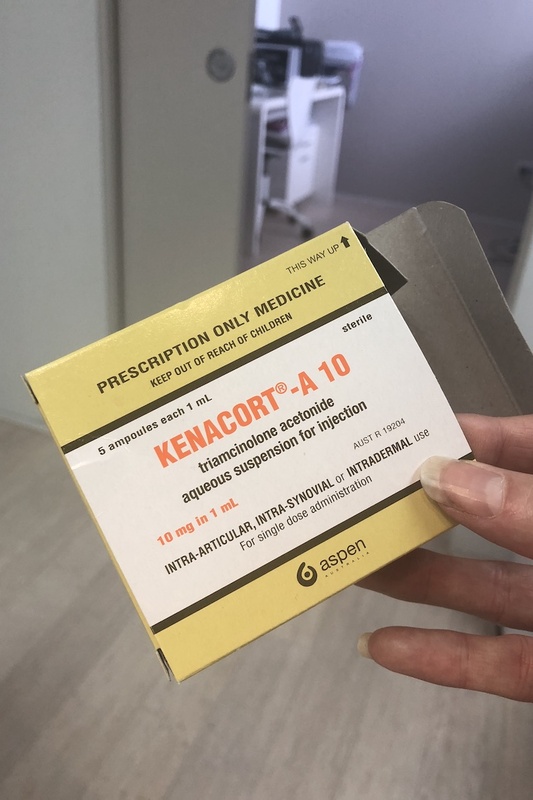 It’s not cheap though – Natasha charges about $250 for a consultation and more for the injection, but you can get some back on Medicare. Hey, sometimes you’ll pay anything for clear skin. Other things you can try? These things are seriously amazing. In the last few years a bunch of beauty brands have launched sticky pimple dots that are clear stickers that are infused with zit-sapping ingredients such as salicylic acid. I’m a big fan of the ones by Skyn, and Mecca Max. If you’ve already popped the pimple, a different type of patch could work. Skin heals best in a moist environment so a colloidal bandage that covers and protects the wound from bacteria is a great idea. I either cut a full colloidal bandage to size or you can try Compeed Blister patches – they’re a litte bit smaller. I noticed that I was getting a monthly breakout with my period so I decided to try Sebaceous Gland Ablation – where they insert a hair-like probe into the blemish and zap it with electricity. I have a patch of reoccurring spots on my chin so we tackled the area a week before my period was due as a preventative measure and I haven’t had a breakout since. This is a great option for those with severe acne to decrease the sebum creation in the skin. A 2% Benzoyl Peroxide ointment or products with salicylic acid from the chemist can help dry it out. After it’s popped Dr. Natasha says you can try using a hydrocortisone cream to help heal the blemish. The best is Advanten or Elacon but they require a prescription, so the next best thing is a 1% ointment available over the counter. “You can use it every night for up to a week,” she adds.